HB Natural Ingredients explains the latest on natural sweetening options in confectionery production in Kennedy's Confection special feature "The Rise of Natural Ingredients." Plant-based ingredients manufacturer HB Natural Ingredients is eyeing opportunities in stevia and licorice extracts to achieve reformulation and NPD objectives for consumer product companies. The technology-driven portfolio includes a comprehensive range of stevia extracts, such as Rebaudioside D and licorice root extracts, such as MAG (Mono-Ammonium Glycyrrhizinate). Next generation, modified stevia extracts are planned for near-term launch. 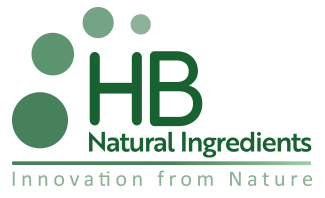 Specialty ingredients manufacturer, HB Natural Ingredients, will make its worldwide, industry debut at the Institute of Food Technologists (IFT) trade show on 16 July 2018 in Chicago, Illinois, USA. Booth number N6723.